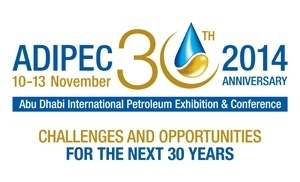 The Abu Dhabi International Petroleum Exhibition & Conference is celebrating its 30th anniversary in its 2014 edition, running from November 10 to 13. This event will gather global decision makers and thought leaders of the Oil and Gas industry under the theme “challenges and opportunities of the industry for the next 30 years”. Ranking amongst the top 3 Oil and Gas conferences in the world, and the biggest in the MENA region, this year’s edition won’t fall short. With over 60,000 Oil and Gas professionals expected to attend, 600 expert speakers and several technical and executive sections and 1,800 exhibitors showcasing the latest industry innovations the show is the largest Oil and Gas technical conference program in the globe. All of this makes ADIPEC an unparalleled opportunity for learning and networking with industry peers. United Safety will be back at this premier event expecting to surpass last year’s success. In ADIPEC 2013 we launched the first Vehicle Gas Protection System – the Air Qruise™. This year we are introducing two new Oil and Gas safety innovations: The Air Qruise™ Electro-Ex and the Air TreQ™ Blinder. The Air Qruise™ Electro-Ex is an explosion-proof vehicle equipped with breathing air and gas detection systems designed to work in toxic and flammable environments. This will be launched in association with Al Hosn, the first company to deploy this exciting new product. The Air TreQ™ Blinder is a versatile unit that combines breathing air delivery and pneumatic power source increasing the efficiency of remote, short-duration projects. To discover more about the Electro-Ex, the Air TreQ™ Blinder and our other safety solutions find us in Hall 13, HSE Zone, booth 13555.